On this week's show, we welcome certified spiritual director Tom Elliott, author of The Intimacy You Desire: Growing in Love with God through the Spiritual Exercises of Saint Ignatius, for an enriching conversation on how each of us can deepen our personal relationship with God. 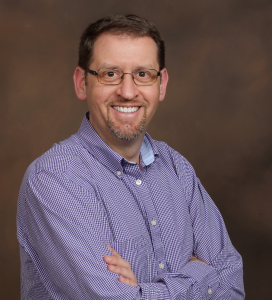 Tom Elliott is a certified spiritual director and the owner of DeepWardly Spiritual Direction Services. He holds a Bachelor’s Degree in Psychology from Saint Meinrad College and a Masters of Divinity from Notre Dame in New Orleans. Tom completed a three-year training program in spiritual direction from the Institute of Priestly Formation at Creighton University. He also received supervision training in spiritual direction from the Sophia Spirituality Center. He is a member of Spiritual Directors International and has been offering spiritual direction and retreats for twenty years. In addition to offering one-on-one spiritual direction to about eighty men and women each month, Tom’s ministry takes him around the country and the world offering retreats and presentations on spirituality and prayer. 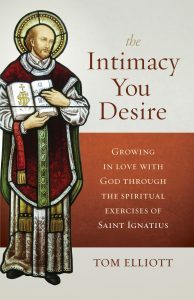 The Intimacy You Desire offers insights from St. Ignatius of Loyola into how we can experience and develop mutuality and intimacy with God, and the book provides striking examples and practical steps for developing that relationship during our personal prayer time. The chapters outline a process of redefining personal prayer in relational terms, thereby deepening one's relationship with God and with others. Anyone interested in Ignatian spirituality and growing closer to God will find this book a rich source of blessings. Check out all of our book and movie picks at Lisa's Amazon Page. For Lisa's speaking schedule visit www.LisaHendey.com. 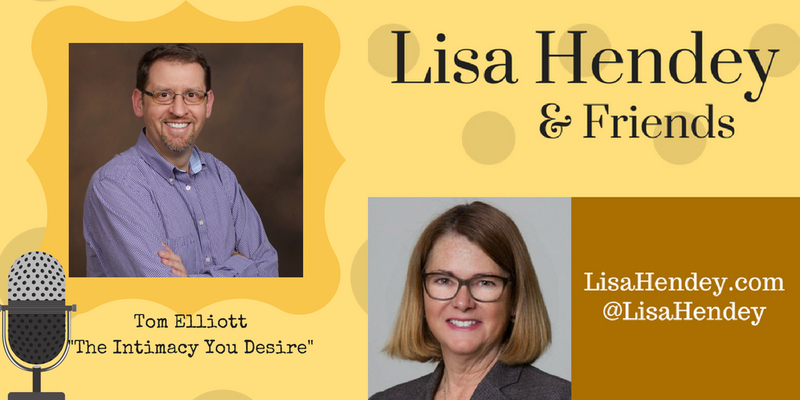 Send your feedback to lisahendey@gmail.com or connect with Lisa on social media @LisaHendey. Thanks for listening! Please consider sharing, bookmark my page for future episodes and subscribe at iTunes to catch every show. Please consider leaving a review or rating for the podcast to help us grow!